17 December 2017. In Gothenburg, European Heads of State and Government are gathering to discuss a more social Europe and to promote fair jobs and growth. It is the first social summit of the European Union in 20 years and is organised by Swedish Prime Minister, Stefan Löfven, together with the President of the European Commission, Jean-Claude Juncker. Language is one of the major barriers to overcome for this summit, which brings together 28 EU Heads of State and more than 30 organisations. In collaboration with their Danish partner, Teletech, duvall provides the simultaneous interpretation. The technical installation is impressive: 60 interpreting booths are set up in 3 halls and the restaurant. These booths provide an optimal working environment for the interpreters, who in turn ensure smooth communication between the Heads of Government. Simultaneous translation ensures that participants can speak and understand each other in their mother tongue, even if they speak different languages. Simultaneous interpretation also provides a great deal of added value for smaller meetings. 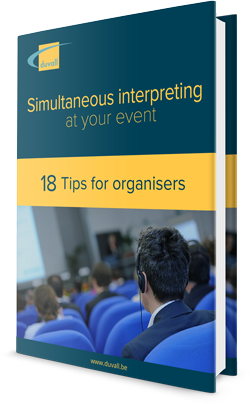 Would you like to know more about how to use simultaneous interpretation for your own meeting? 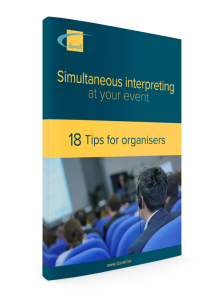 Below you can download our free e-book full of information and tips on how to score points as an organiser by providing simultaneous interpretation.